This is my entry for this year’s Live Strong with A Taste of Yellow that my dear friend Barbara is hosting. The event is to support the Lance Armstrong Foundation in aid of cancer awareness. As you know already if you are a reader of Barbara’s blog, she recently finished her chemotherapy treatment – it was wonderful to read her come back post celebrating with her favourite champagne. I know Barbara is a very positive, strong person, but I can only imagine what it must be like – she has been my hero in many ways and I really look forward to meeting her one day. This great event is to increase awareness by way of cooking something yellow – the deadline is 18th September – so you still have some time to take part (and I’m sure Barbara wouldn’t mind if you are a little late :)). I’m not a big fan of deep fried food normally, but these crispy stuffed courgette (zucchini) flowers, a kind of Italian version of Tempura, has always been my favourite. A month ago or so, I was asked by a friend to take some pictures of those flowers. 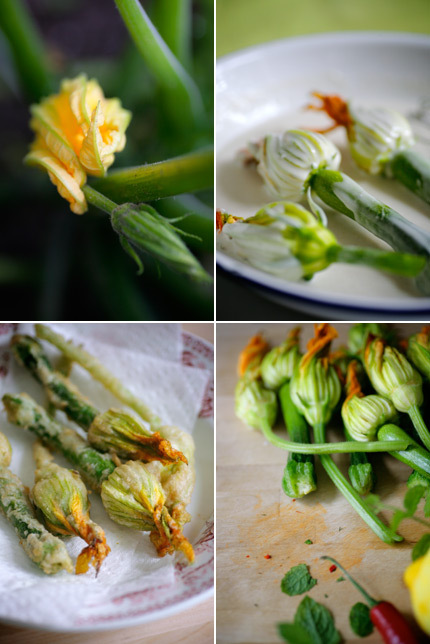 We grow courgettes in our allotment, and I did manage to shoot them, but despite me enjoying eating the flowers, I never actually cooked them myself as we grow a small amount and only have a couple of flowers at a time. But when we visited a PYO (pick your own) farm with our friends recently, we found loads of courgette flowers so I decided to dust off our deep fryer :) Many British people wouldn’t even think about eating these beauties (and if you find them at Borough Market, they are sold for more than £1 each!) – it’s a real shame because they have such a gorgeous, delicate flavour. You can find many different recipes for the stuffing – I tried one from this book which uses ricotta, chilli, mint and lemon zest – it’s light and mild and I liked it, but you can use mozzarella (anchovies go well with it) or add some parmesan, or some nuts for an extra texture. Play around a bit and find your favourite :) I liked the batter recipe that Jamie suggested though – it uses white wine instead of water, I wasn’t so sure until I tasted it, but it was lovely! Another yellow dish I tried is saffron infused pasta called Malloreddus – I was intrigued to try out the flavour, and of course saffron lends a beautiful yellow colour to the dough. I love saffron both in savoury and sweet dishes – I was given some gorgeous ‘threads’ by my friend Alastair a while ago, so I was looking forward to using them. I first made a batch with bigger pieces than I suggest in the recipe below, but they were just too big and thick so it’s better to go smaller – you need to experiment a little, but hopefully my picture gives you an idea. You can’t really see it in my pictures, but I loved the beautiful red threads of saffron you can see in the dough. I adapted this sauce recipe, and it turned out great. It’s very similar to how I normally prepare seafood tomato sauce – roasting the prawn shells gives a deep, sweet flavour (I wrote about it here a while ago). You should always buy with shells attached – they have much more flavour than just buying peeled. The prawn and tomato sauce was delicious enough to serve on its own, but adding bottarga transforms it into a seafood delicacy. I thought it almost tasted like sea urchin pasta – rich and velvety, I absolutely loved it :) I could nicely taste the saffron in the pasta too, although this sauce is equally delicious with dried pasta as well. 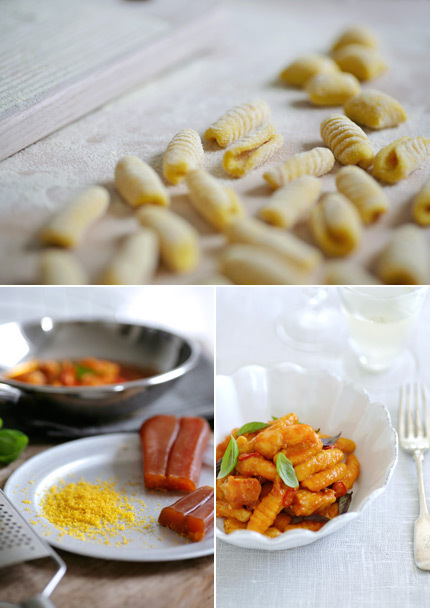 I’ve earmarked a couple of bottarga recipes in my favourite book, A16 Food+Wine (I still regret that I didn’t make it to the restaurant when I was in San Francisco a few years ago), will report back when I try it out next time! Last but not least, my favourite dessert, ice cream :) This may not be an obvious yellow food – but for me, the gentle colour of custard is a lovely warm yellow. I found the recipe in The Big Sur Bakery Cookbook – I first learnt about Big Sur on Heidi’s blog, then when she wrote about this book, I just had to get a copy straightaway. I’ve been lucky to work in Los Angeles a few times in the last few years and my friends including Matt and Adam kindly took me to some of the most beautiful places in the surrounding area. Before my first visit, I didn’t even know California was bigger than the whole of Britain (!) – but I really enjoyed every visit and I would love to travel around one day – and visit Big Sur and this beautiful restaurant too. 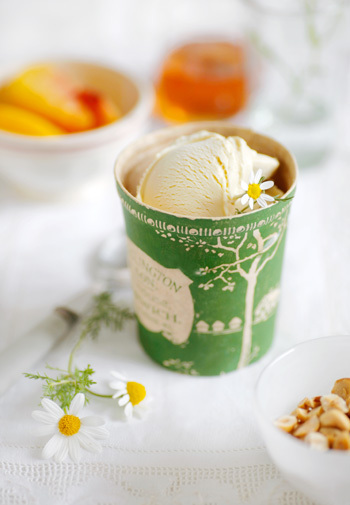 There are many recipes I’d like to try, but I chose the ice cream recipe this time because a) I just can’t help it when I find a new ice cream flavour, b) I saw my little camomile in our garden blossoming when I read the recipe :) I just love the smell of these cute little flowers, it’s very soothing and refreshing. OK, I should go now – but please let me remind you again that the deadline for A Taste of Yellow is 18th September – I hope you can join, and have fun cooking yellow inspired food! Oh and I know I’m very late in the game, but I’ve finally started twittering – it may take me a while to get the hang of it, but let me know if you are on it too! Mix all the ingredients for the stuffing in a bowl. Season with sea salt and freshly ground black pepper. To make the batter, place the flour in an bowl with a good pinch of salt. Pour in the white wine and whisk until smooth and thick. The consistency should be similar to double cream. Carefully fill each flower with the ricotta mixture – you can use a small spoon, or pipe it in with a pastry bag. Press the flowers back together and twist a little to seal. Fill a saucepan with vegetable oil to about 10cm deep – make sure to choose a big deep pan or of course a deep fryer if you have one. Heat up the oil to around 180ºC – drop a little batter in, and if it comes back to the top sizzling after a few seconds the temperature should be about right. Dip the courgette in the batter and let any excess drip off. Carefully place them into the oil away from you being careful not to overcrowd the pan. Fry until crisp and nicely golden then drain on some kitchen paper. Sprinkle with a pinch of sea salt, finely chopped chilli, mint and a squeeze of lemon if you like – serve immediately. For the pasta, grind the saffron in a pestle and mortar. Add the hot water and leave to infuse for 15-20 minutes. Place the flour and salt in a big bowl, making a well in the centre and pour into the saffron water. Mix until roughly combined, then knead for about 10 minutes until the dough becomes elastic and silky to touch. Cover the bowl and rest at least half an hour at room temperature. and roll on a gnocchi board (or you can just roll on a flat board or use a fork to give it the ridges. For the sauce, make the prawn stock first. Preheat the oven to 180ºC. 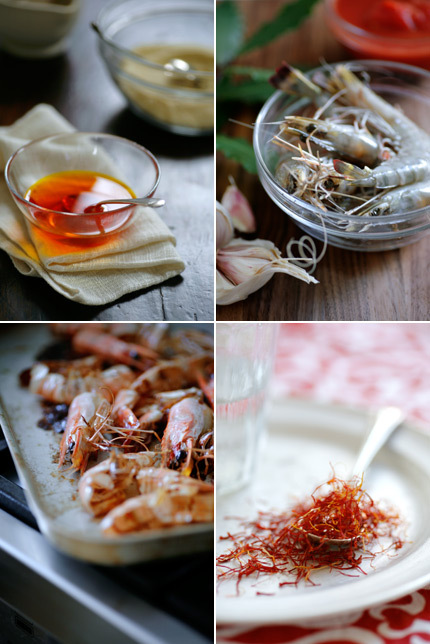 Place the prawn shells on a roasting tray, sprinkle with a tablespoon olive oil then roast for about 10 minutes. In a saucepan, heat a tablespoon of olive oil and add the chopped carrot, onion, celery and garlic, cook for about 10 minutes until slightly softened. Add the prawn shells in the pan. Pour the white wine in the roasting tray and scrape all the goodness into the pan too. Turn up the heat and reduce the wine slightly. Add the tomatoes and basil stalks and cook for about 5 minutes until thick, then add the water along with 1 teaspoon of sea salt (be careful not to over season at this point as bottarga is quite salty), bay leaves and peppercorns. Simmer for about 40-45 minutes until thicken (reduced by 1/3), skimming the foam off the surface. When it’s ready, strain through a fine sieve pressing hard so as not to waste any tasty bits. Discard the solids. Cook the pasta in a large pan of salted water until al dente (it depends on the size of the pasta, but it should be around 7-8 minutes). While cooking the pasta, heat the olive oil in a frying pan, add the garlic and chilli and cook until soft. Add the prawn stock and basil stalk, simmer until thickened. Cut the prawns into 2cm pieces, then cook in the sauce for a couple of minutes. Add the pasta to the sauce, melt the knob of butter in, and grate some bottarga and mix well. Serve with some fresh basil leaves sprinkled on top. Preheat the oven to 180ºC. Place the hazelnuts on a baking tray and roast them in the oven for about 10 minutes or until they are golden. Shake the tray a few times to insure they are evenly roasted. Chop them roughly. Place the milk, cream and honey in a saucepan and bring to a simmer. Remove from the heat, add the camomile tea, and let it steep for about 10-15 minutes. Take out the bags (or strain through a fine sieve into a bowl if you’re using loose tea, then return the mixture to the saucepan) and discard them. In a bowl, whisk the egg yolks until pale. Bring the milk mixture back to a simmer, then pour into the yolks, stirring constantly. Place the mixture back in the saucepan and put on a low heat, constantly stirring with a wooden spoon until the custard thickens and coats the back of the spoon. Strain into a clean bowl, cool over ice-cold water then chill the mixture in the fridge. Churn in an ice cream machine according to the manufacture’s instructions. Just before serving, slice the fruit and place in a bowl, sprinkle with little sugar and leave for 10 minutes or so to macerate (if your fruit is very ripe, you may not need to bother to do so). Sprinkle the chopped hazelnuts on top of the ice cream and serve with the fruit. Wow! Such amazing photos. Thank you for the information and the recipe – very keen to try bottarga now. I intend to participate starting tonight and start a new blog. All in support of Live Strong. Lovely blog as always. :) Thank you. It’s nice to read your blog once more. It’s been a long long time. I really like your photography and all your stuff. Keep it up! oh, btw, if you do make it out to san francisco, pass up A16 for its sister restaurant, SPQR. i tried both on my last visit and SPQR is hands down the winner! Hi Keiko! it’s always a great pleasure to read your posts and to look at your wonderful pics! good luck for this admirable event!! I was wondering if you cook Japanese food much? I have become addicted since buying Hurumi Kurihara’s books. The tastes are so light, sweet, salty and fresh! Beautiful pictures as always! I am always glad when you post – you say so much in one post! I’m on Twitter, too – @rosso – welcome! i’d been thinking of purchasing Big Sur Bakery, and upon your recommendation, i think i will go ahead and get it. glad to see you are on twitter! i just started “following” you. What a gorgeous tribute to Barbara. This is a wonderful post…just beautiful from the first to the very last word. As gorgeous as ever Keiko! All 3 dishes I’d simply love to sample, lots of my favourite ingredients. what a beautiful post with beautiful intentions and beautiful recipes. everything from the prawns, to the ice cream (I love the vessel!) and the zucchini blossoms. we get nothing but perfection from you keiko! Thank you for sharing again, it’s always such a pleasure to read your posts and marvel at your photographs, truly inspirational! 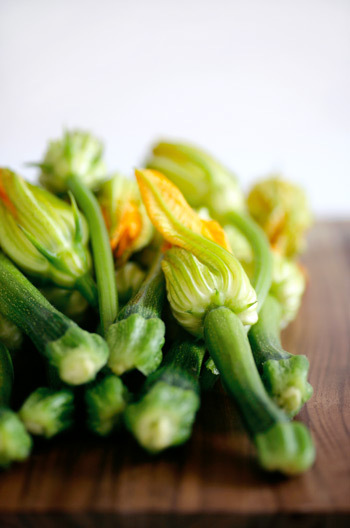 Where do I start to recreate…love zucchini flowers so thats an obvious first,..been longing for them since we did Rome in Feb…Thanks. Really interested to see you talking about bottarga and its parallels with Japanese cuisine. I reckon there’s an interesting thesis to be written about how the Italians – and to a certain degree the Spanish – maximise umami in very similar ways to the Japanese by drying and/or fermenting fish. Whatever the technicalities, it all just tastes great, and that’s the main thing. V. jealous of your ready supply of bottarga. When I have things like that in my larder – like my whole katsubushi fillets – they tend to stay there for an eternity because I can never bring myself to use them! This is a great cause and a great menu. I can’t wait to try it out! Fantastic photos!!!!! I alway look forward to a new post, could you tell me what lens you use for you close up shots? I have just bought me first slr having been so inspired by your site. Also, I am in the food industry and was wondering if you have any hints or tip about getting onto food styling? Many thanks again. 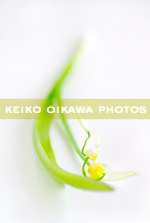 I entered here very accidentally.Your work is very very beautiful.I like it very much. The photos are so lovely that they made me very exciting.Though we don’t kown each other,but I wish your work would be more excellent.And may your life be happy and peaceful forever. I am so glad you joined the event and with such delicious recipes and incredible pictures! This is astonishingly lovely; like having a “mental health break” in the midst of a hectic day. Thanks so much for this – and for the squash blossom recipe which sounds lighter and more promising than the sodden variety I have previously produced. Hello Keiko-san. I love your photography and I’ve been silently following your site for a few months now. Although you live so far away, this post made me feel a bit closer when you mentioned A16, Heidi Swanson and The Big Sur Bakery. I live in the Bay Area and follow her blog as well. I knew exactly which post you were talking about! It is a shame people don’t use courgette flowers. It is so unheard of where I live, that the organic farmer I always buy my veggies from actually gave them to me for free. He said he’d throw them out at the end of the season anyway! Yours look delicious! My name’s Gabriela, I’am from México and I study in a university the carrear Culinarys Arts and I love your website. the pictures that shows are very beautiful, are you photographer?. I found your website, because I wachted in the TV in National Geografic the website of chezpim. Do you know the Mexican Food?, for me this food is very interesting, also I love to travel Japan and taste the traditional food. Just splendid, I am sooooooooooo impressed! great writing and most of all, great photography. That first picture of the flowers really stood out. great work! OOOOH I am so jealous! your gnocchi look so better than mine (and than the one of my mother in law who is the perfect italian mama ;) she would kill you because of jealousy for sure ;))! great job again as always! Your blog is wonderfully inspiring! What camera do you use?